Dimensions 0.21 by 5.06 by 7.81 in. Amazon.com description: Product Description: In this sequel to Ã¢ÂÂCafÃÂ© in BerlinÃ¢ÂÂ, Dino makes his way towards the central German metropolis of Frankfurt am Main, caught in between quaint cider-pubs, the international banking elite, old acquaintances and the eternal question what to do with his life. Explore FrankfurtÃ¢ÂÂs city life, learn about local sights and sounds, and improve your German effortlessly along the way! This book is designed to help beginners make the leap from studying isolated words and phrases to reading (and enjoying) naturally flowing German texts. Using simplified sentence structures and a very basic vocabulary, this collection of short stories is carefully crafted to allow even novice learners to appreciate and understand the intricacies of coherent German speech. Each chapter comes with a complete German-English dictionary, with a special emphasis on collocative phrases (high frequency word combinations), short sentences and expressions. By working with these Ã¢ÂÂbuilding blocksÃ¢ÂÂ instead of just single words, learners can accelerate their understanding and active usage of new material and make the learning process more fluid and fun. 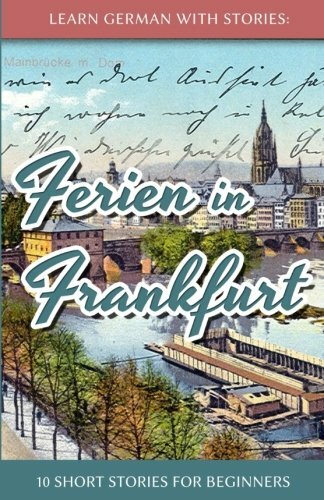 About: In this sequel to âCafÃ© in Berlinâ, Dino makes his way towards the central German metropolis of Frankfurt am Main, caught in between quaint cider-pubs, the international banking elite, old acquaintances and the eternal question what to do with his life.